I happened upon an excellent 104-minute documentary from 2015 I’d never heard of before, titled “The Apollo Experience: Apollo 17” and linked below. It’s among the best single-mission Apollo documentaries I’ve seen and I figured I should mention it here because it has to be pretty darned obscure for me to not know of it. 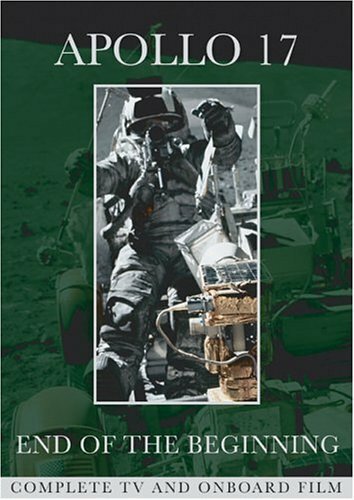 I have the complete lunar surface videos from the mission – the boxed set pictured at the end of this post – but this documentary puts EVA highlights in context with explanatory captions and follows the mission from training to splashdown. The archival footage throughout is of the highest quality I’ve seen and quite a treat on a fifty-inch television. The overall quality is high enough that I forgive the engine noise the producers added to some radio transmissions, along with other low-key add-ons like electronic “beep-beep” effects. They did them in a fashion subtle enough that, while I knew immediately that they were their additions, I wasn’t compelled to say “Wut?” and put on my just-ate-a-lemon face. Timeline’s YouTube channel is worth exploring as it has hundreds of other history documentaries. Some, like this one, come from obscure satellite channels, but it appears a large percentage of their content originally aired on Channel 4 in the UK.